The term "subdwarf" was coined by Gerard Kuiper in 1939, to refer to a series of stars with anomalous spectra that were previously labeled as "intermediate white dwarfs". 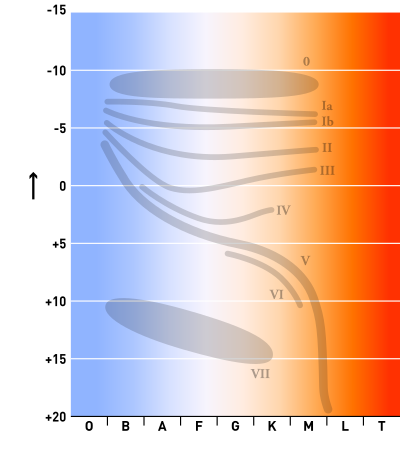 Like ordinary main-sequence stars, cool subdwarfs (of spectral types G to M) produce their energy from hydrogen fusion. The explanation of their underluminosity lies in their low metallicity: these stars are unenriched in elements heavier than helium. The lower metallicity decreases the opacity of their outer layers and decreases the radiation pressure, resulting in a smaller, hotter star for a given mass. This lower opacity also allows them to emit a higher percentage of ultraviolet light for the same spectral type relative to a Population I star, a feature known as the ultraviolet excess. Usually members of the Milky Way's halo, they frequently have high space velocities relative to the Sun. Hot subdwarfs, of spectral types O and B, also termed "extreme horizontal-branch stars" are an entirely different class of objects to cool subdwarfs. These stars represent a late stage in the evolution of some stars, caused when a red giant star loses its outer hydrogen layers before the core begins to fuse helium. The reasons why this premature mass loss occurs are unclear, but the interaction of stars in a binary star system is thought to be one of the main mechanisms. Single subdwarfs may be the result of a merger of two white dwarfs or gravitational influence from substellar companions. B-type subdwarfs, being more luminous than white dwarfs, are a significant component in the hot star population of old stellar systems, such as globular clusters and elliptical galaxies. 2MASS J05325346+8246465, a possible halo brown dwarf and the first substellar subdwarf. ^ Ken Croswell, The Alchemy of the Heavens, (New York: Oxford UP, 1995), p. 87. ^ James Kaler, Stars and their Spectra, (Cambridge: Cambridge UP, 1989), p. 122. ^ Ken Croswell, The Alchemy of the Heavens, (New York: Oxford UP, 1995), pp. 87–92. ^ Burgasser, Adam J.; Kirkpatrick, J. Davy (2006). "Discovery of the Coolest Extreme Subdwarf". The Astrophysical Journal. 645 (2): 1485. arXiv:astro-ph/0603382. Bibcode:2006ApJ...645.1485B. doi:10.1086/504375. ^ Schweitzer, A.; Scholz, R.-D.; Stauffer, J.; Irwin, M.; McCaughrean, M. J. (1999). "APMPM J0559-2903: The coolest extreme subdwarf known". Astronomy and Astrophysics. 350: L62. Bibcode:1999A&A...350L..62S. ^ Jeffery, C. Simon (2005). "Pulsations in Subdwarf B Stars". Journal of Astrophysics and Astronomy. 26 (2–3): 261. Bibcode:2005JApA...26..261J. doi:10.1007/BF02702334. ^ Geier, S.; Edelmann, H.; Heber, U.; Morales-Rueda, L. (2009). "Discovery of a Close Substellar Companion to the Hot Subdwarf Star HD 149382—The Decisive Influence of Substellar Objects on Late Stellar Evolution". The Astrophysical Journal Letters. 702: L96. arXiv:0908.1025. Bibcode:2009ApJ...702L..96G. doi:10.1088/0004-637X/702/1/L96. ^ Burgasser, Adam J.; Kirkpatrick, J. Davy; Burrows, Adam; Liebert, James; Reid, I. Neill; Gizis, John E.; McGovern, Mark R.; Prato, L.; McLean, Ian S. (2003). "The First Substellar Subdwarf? Discovery of a Metal‐poor L Dwarf with Halo Kinematics". The Astrophysical Journal. 592 (2): 1186. arXiv:astro-ph/0304174. Bibcode:2003ApJ...592.1186B. doi:10.1086/375813.